Apple Pay is one of the most popular mobile payment services on the market. Apple’s payment service made its debut back in 2014 and quickly gained its popularity out there, reaching millions of users in the US. Apple has been slowly expanding the service to more markets and financial institutions worldwide since day one. Last month, Apple Pay support arrived in Germany and Saudi Arabia, allowing users to make purchases at retail stores using their iPhone, iPad, or Apple Watch. One of the best things when it comes to Apple Pay is that it works with all contactless payment terminals out there. If you now own a Mac, you now can pay with Apple Pay at dozens of online retailers and authorize your purchases with Touch ID. Apple has been in talks with retailers to expand Apple Pay support at more online stores. In August, Costco, one of the biggest retailers in the US, officially accepted Apple Pay at its stores. Users now can use Apple’s payment service at a wide range of Costco warehouses and gas stations. In this guide, we will show you how to set up and use Apple Pay on a Mac. Before we begin, make sure you now have a modern version of macOS on your machine. macOS Mojave is now available on all compatible Macs, so it’s a good idea to stay up-to-date. By default, Apple Pay is not enabled on your Mac, meaning that you need to set up the whole thing. 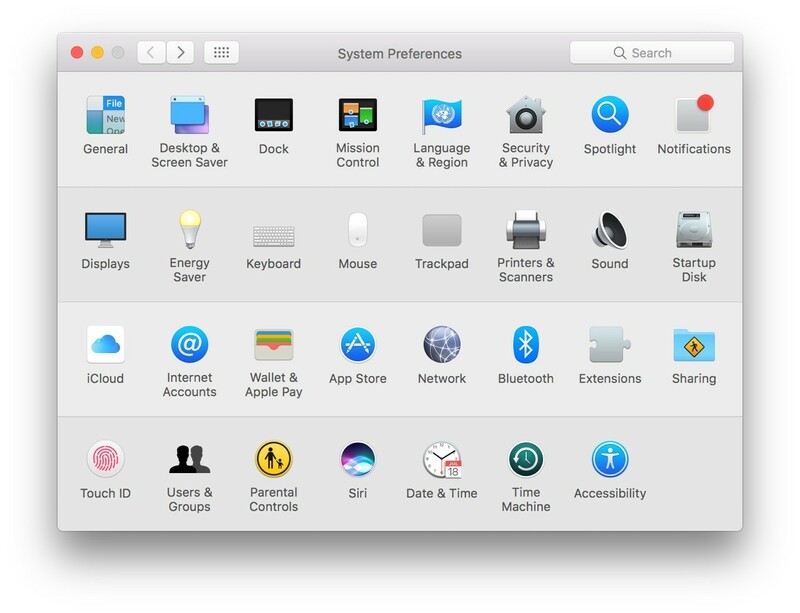 Apple is making the process much easier on a modern version of macOS. If you are new to Apple Pay, then you can follow our steps below. 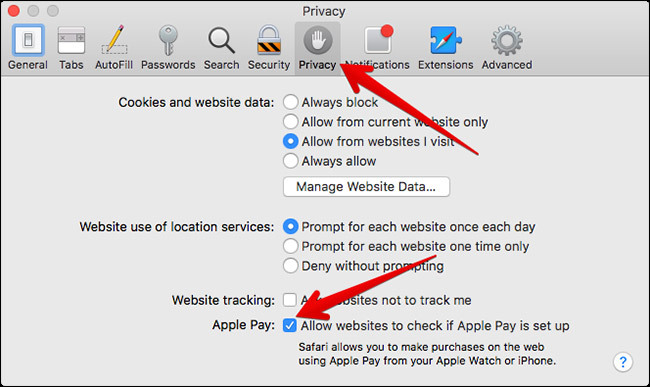 Step two: Make sure you select the Privacy tab and check the box next to Allow websites to check if Apple Pay is set up option. 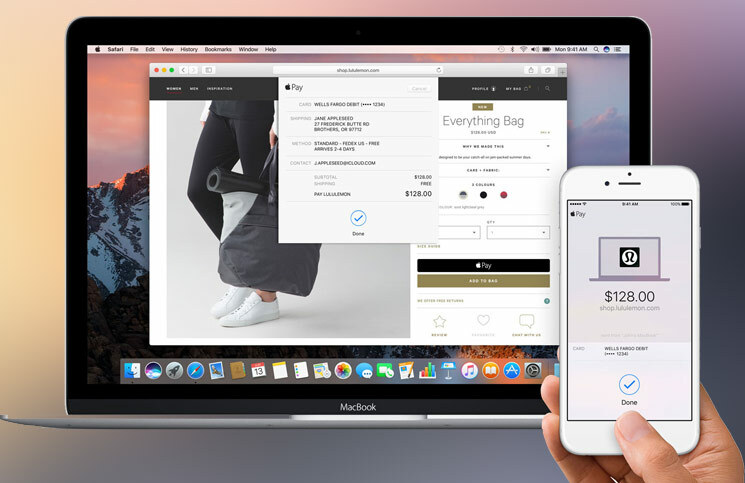 Once you are done, you now can make purchases using Apple Pay in Safari on your Mac. Touch Bar is a small OLED touchscreen that sits at the top of the keyboard and replaces function keys. Basically, Touch Bar offers relevant controls depending on which apps you are using on your Mac. With a modern MacBook model, Touch ID is located on the right end of Touch Bar, allowing users to unlock their Macs and authorize Apple Pay purchases with Touch ID. Step four: When your bank finishes authorizing your card, you should receive a notification letting you know Apple Pay is now ready on your Mac. Make sure your bank supports Apple Pay before proceeding. Apple has been expanding its mobile payment service to more banks and financial institutions for months. Last month, Apple launched its payment service in a wide range of banks in the US. If you now own an older Mac, then Apple Pay requires an iPhone or Apple Watch to authorize purchases. However, you need to set up Apple Pay first and you can follow our guide below. Step two: Now just simply turn on the switch for Allow Payments on Mac. Once you are done, you now can make purchases in Safari on your Mac. Once you have added your card details to Apple Pay on Mac, then you can view your card details at any time. To do this, open System Preferences on your Mac, then click on Wallet & Apple Pay icon and select Details tab. If you want to change your default card, select a card from the list to make it the default option. If you want to switch to a new credit card, then it’s a good idea to remove the old card from Apple Pay. The process is pretty simple and you can check out our guide below. To view your Apple Pay transactions, open System Preferences, then select Wallet & Apple Pay and select the credit card you wish to view from the list. If you are having problems with Apple Pay on your Mac, then reboot your Mac and then re-enter your credit card details. If nothing changes, then turn off Apple Pay and turn it back on to see if your problems are fixed. If you have got any questions, feel free to let us know in the comments below.